SHIFTboston blog» Blog Archive » 3471 Dots! 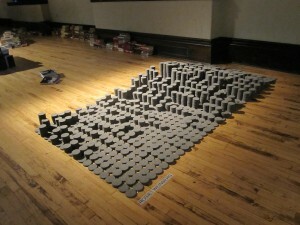 Rosie Weinberg is a Boston based architect and the creator of 3471 Dots. 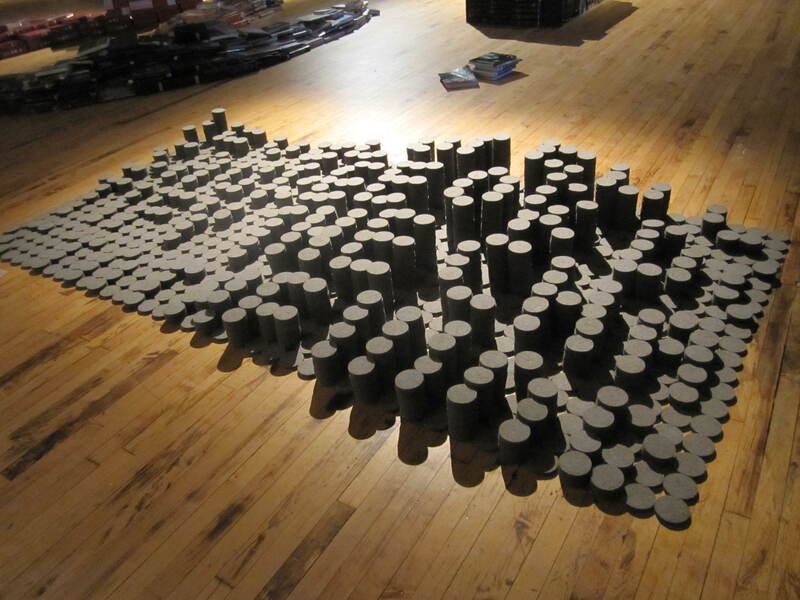 Originally shown at dParty at Mass Art, 3471 Dots is made up of thousands of 3-inch diameter dots. Each dot is hand sewn and when put together they form a 5 x 10 foot topographical floor covering. The topography her design represents a square section of a page of the MCAS 2010 written exam. Rosie designed 3471 Dots by using Python scripting in the computer modeling program Rhinoceros. 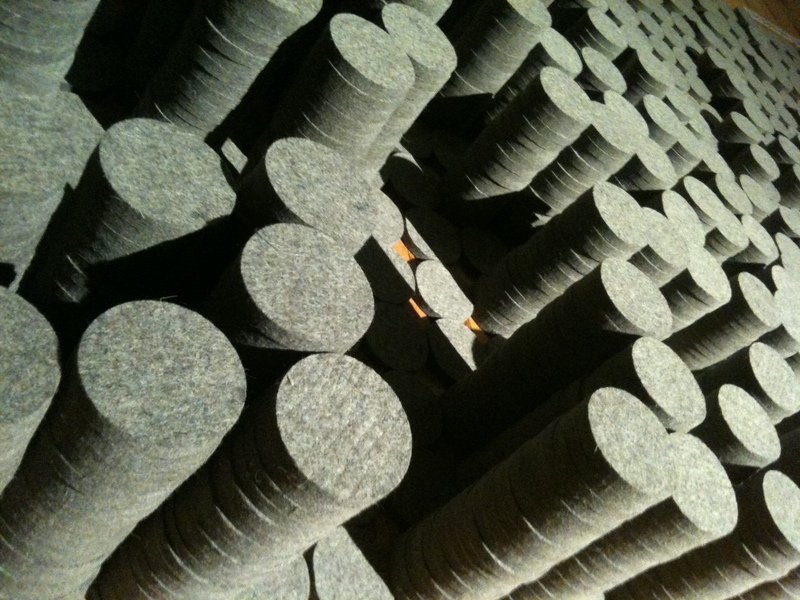 A very generous donation of 10mm thick felt circles from FilzFelt, provided the material that she used. 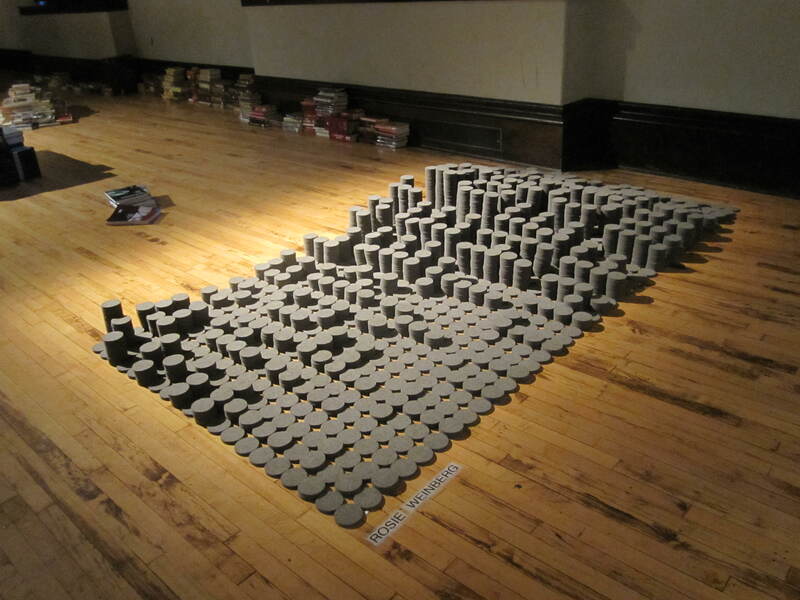 Rosie was inspired by both the main installation at the dParty, a topographical book display by Mary Hale, and the phrase “Live and Learn”, the theme of Common Boston week 2011. If you missed your chance seeing 3471 Dots at dParty, you can see it again on July 30th at Arts 29 Garden Gallery in Cambridge. See you there!